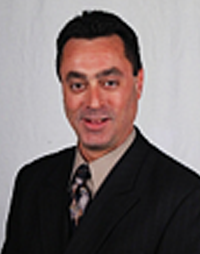 I joined Arrow Real Estate Services in 2013, as Regional Manager with twelve years experience representing Tenants and Landlords in Sales and Leasing, and four years in Information Technology as a Support Consultant with the CoStar Group, a Commercial Real Estate proprietary Software Company updating via the Web to Brokers specific listing and analytical information. My most recent deals include Leases involving Vision Works, Planet Fitness, Primo Hoagies, Subway, Manhattan Bagel, Taco Bell, Fritz’s Bakery, Edible Arrangements, Philly Soft Pretzel Factory, Action Karate, and Diamond Financial Services, in locations throughout the Philadelphia, Montgomery, and Bucks County trade areas. I currently live still where I grew up in Northeast Phila. I know the Market. Let my negotiating skills keep you from leaving money on the table. Our Firm of seasoned Commercial Real Estate professionals can help with all aspects of the Industry from Investments Sales and Tenant site selection services to Landlord Representation and Property Management.